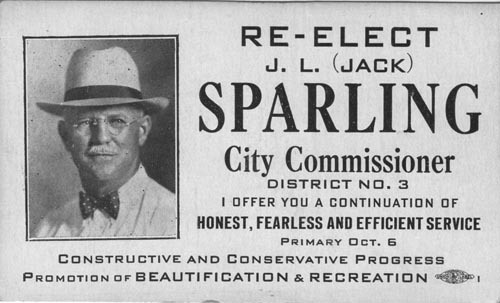 Re-Elect J. L. (Jack) Sparling, City Commissioner, District No. 3. Primary Oct. 6. 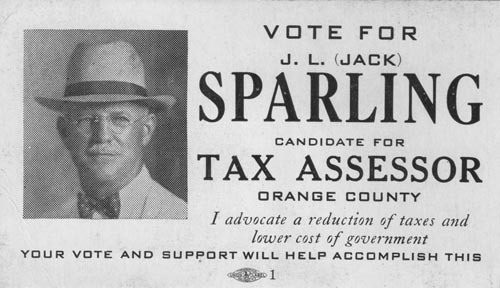 Vote for J. L. (Jack) Sparling, Candidate for Tax Assessor of Orange County. Are you looking for SPARLING ancestors? If so, we suggest posting a query to our Community Message Board to get assistance from other researchers.